Do you ever wonder what happens to all of your family members after the courtroom drama? After the news cameras and news articles dry up? After the victim impact statements and the jury’s verdict have been handed down? A prisoner talks about why life without parole is a second death sentence. 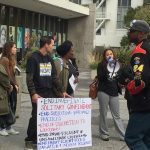 Prisoner Human Rights Movement representatives call on California government officials to provide mental healthcare, support groups and other relief to prisoners formerly in solitary confinement who are living with PTSD. Various prisoner support organizations gathered before an Alameda County Board of Supervisors Public Safety Committee hearing on jails and detention centers in November, 2017. 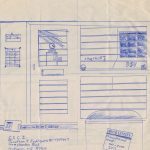 Jonathan J. Rodriguez submits a drawing of the view from his solitary cell. Shared story of a prisoner experiencing solitary confinement in Pennsylvania. 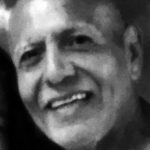 Shared story from Jesse Perez, prisoner in solitary confinement in a California prison. 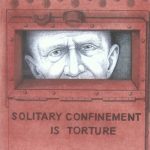 Prisoner Robert Taliaferro writes of the Wisconsin maximum security facility prisoners’ hunger strike to end the inhumane practice of long-term solitary confinement and for improved medical care for prisoners with mental illness in segregation. Shut down all of today’s Alcatrazes! 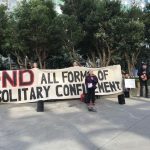 On Aug. 23, California’s Prisoner Hunger Strike Solidarity coalition leafletted the staging area for trips to Alcatraz prison raising discussions with locals and tourists about how solitary confinement is torture. 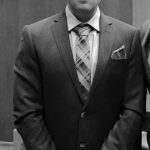 Prisoner Brutha Baridi tells what it means to be released from the hell of solitary confinement and experience several new “first” experiences. Prisoner Robert Taliaferro discusses the profit made from prisoners by the prison industrial complex and the shame of supposed rehabilitative programs that in reality are required, not for rehabilitation but for continued punishment of prisoners and profit for the prisons. A Transgender woman former prisoner exposes what life is like in solitary confinement at Rikers Island and argues for its abolition. Jury unanimously finds that prison guards violated California prisoner Jesse Perez’s constitutional rights. 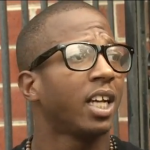 Prisoner supporters speak out on draconian proposals for Rikers Island jail. 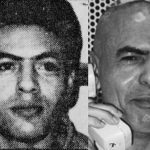 Prisoners mourn and remember assassinated prisoner Hugo ‘Yogi’ Pinell. 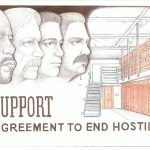 In California the ongoing struggle of prisoners against the U.S.’s barbaric criminal justice system reached a milestone in the effort to totally transform a society in which millions of poor, unemployed and people of color end up in an inhuman gulag. Pelican Bay Prison guards use court-ordered “wellness checks” to harass prisoners. They make it impossible for anyone to get any sleep as they rampage through each SHU pod for 10-20 minutes. The video of Cpl. Eric Casebolt’s June 5 attack on Dejerria Becton and other kids at a pool party in McKinney, Texas, went viral because it was simultaneously shocking and commonplace. 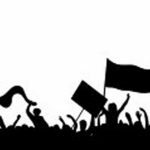 In 2015 USA, protests were inevitable and were heard around the world. 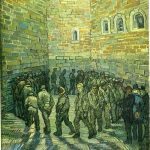 How, on the 800th anniversary of the Magna Carta, does that document speak to what workers and prisoners are facing today? A woman prisoner talks about how women experience Security Housing Units (SHUs) at the California Institution for Women (CIW). Nothing can prepare you for entering the Security Housing Unit (SHU). It’s a world unto itself where cold, quiet and emptiness come together, seeping into your bones, then eventually the mind. 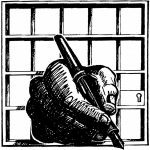 I am an inmate at New Folsom State Prison and was personally involved in the statewide hunger strike that started on July 1 in protest of California Department of Corrections and Rehabilitiation’s (CDCR) practices of cruel and unusual punishment. Sacramento, Calif.–At the Legislative Hearings on Feb. 11, experts presented their analyses, which showed that even the very small changes California Department of Corrections (CDC) said they were implementing, in fact they are not. No policies are being changed to address the problems brought out by prisoners and their families. One family member was taking the legislators to task, saying that the promises of reform the legislators vow to make now, they made 10 years ago. Nothing changed. Things got worse. The only way to get out of Administrative Segregation is by attending the Gang Renouncement and Dissociation Process. After many months I was told that I could not attend this program because the units do not house inmates with wheelchairs and don’t have cells or showers for the handicapped. 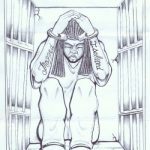 Faruq, a prisoner at Pelican Bay State Prison in California, reviews “Maroon the Implacable: The Collected Writings of Russell Maroon Shoatz” (PM Press, 2013), written by a revolutionary theorist forced to endure the psychological and physical torture of solitary confinement for the past 40 years. Alex Sanchez, co-founder of Homies Unidos in Los Angeles, spoke in support of prisoners’ call to cease hostilities, backing the solutions arrived at by those who used to be part of the problem. 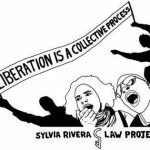 The PBSP-SHU, Short Corridor Collective Representatives hereby serve notice upon all concerned parties that after nine weeks we have collectively decided to suspend our third hunger strike action on Sept. 5, 2013. To be clear, our Peaceful Protest of Resistance to our continuous subjection to decades of systemic state-sanctioned torture via the system’s solitary confinement units is far from over. Our decision to suspend our third hunger strike in two years does not come lightly. This decision is especially difficult considering that most of our demands have not been met (despite nearly universal agreement that they are reasonable). Editor’s note: Marie Levin spoke at many of the demonstrations. This statement is from July 31. On July 8, 2013, another hunger strike was launched here inside the security housing unit (SHU) in an ongoing effort to try to bring an end to the injustice of long-term SHU confinement. On July 12 I was prevented from receiving the July-August issue of N&L because page 9 had an article on the Pelican Bay hunger strike. 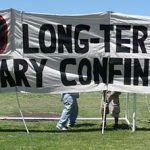 Since February, prisoners at Guantanamo Bay have carried on a massive hunger strike to protest indefinite detention in abusive conditions with no end in sight…. 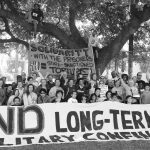 On July 8th California prisoners being held in solitary confinement at the Pelican Bay “security housing unit” (SHU) for indeterminate periods will resume their hunger strike.